Who is the Shaman who stole the stars? 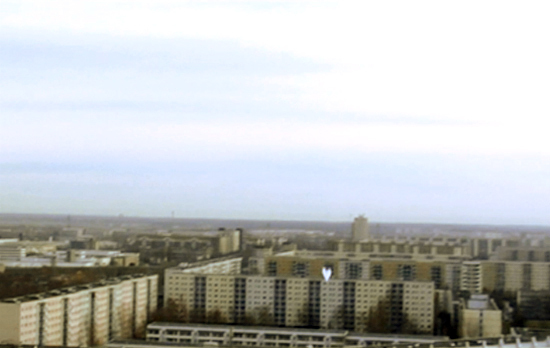 The video is filmed from a bird’s eye view perspective and shows a small paper airplane flying over an urban blockhouse area. 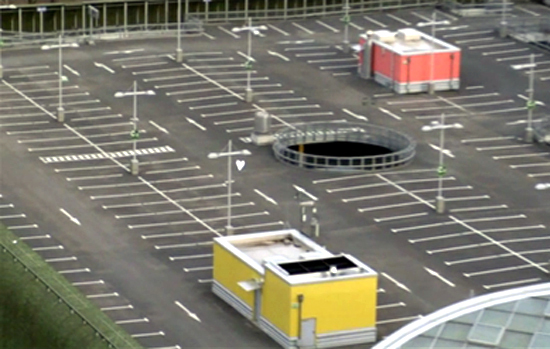 The plane was thrown from the top of the highest skyscraper in Marzahn. The paper is very fragile and the flight is quite turbulent. In the first sequence it lands in the wrong place. 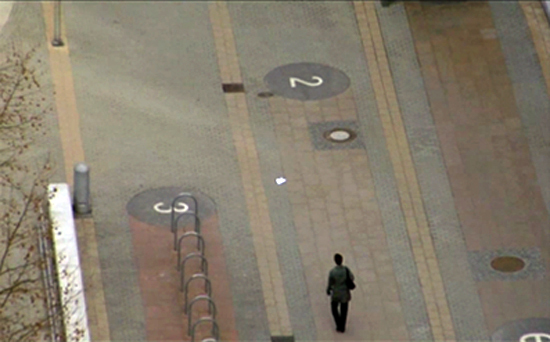 The second sequence shows the plane arriving in the very centre of the city, unnoticed by the passersby. 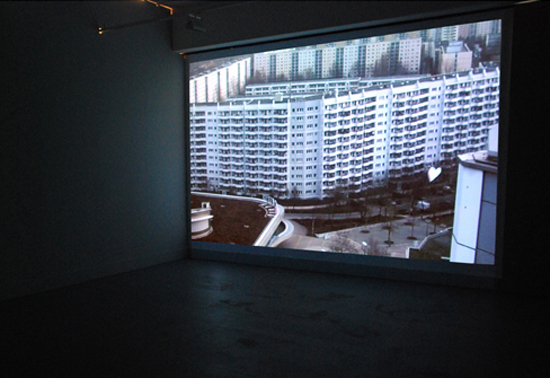 This video features the arrival in ‘Traumland Marzahn’ (Dreamland Marzahn) and is a poetic and metaphorical representation, evoking the stories and difficulties of any immigrant starting a new life in an unknown country and facing its reality.